Attention self storage residents! From now until December 12, all StaxUP Storage facilities in Southern California are participating in an ugly sweater contest to celebrate the holidays! 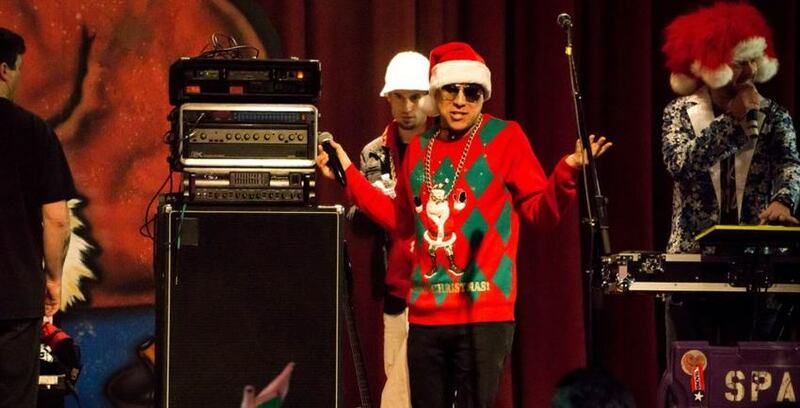 StaxUP Storage in Southern California is having an ugly sweater contest between now and December, 12. “People have ugly sweater parties all the time and I thought it would be fun. Something we could do that was holiday themed that included not just our team, but our customers,” said Vice President of Self Storage Operations Julie Merry. Both residents and StaxUP Storage team members are encouraged to wear their ugliest sweater into the facility between now and December 12, take a picture, and be entered into the contest. There will be separate prizes for both residents and team members, including a $50 rent credit for the current customers with the ugliest sweaters. The top team members with the ugliest sweaters will receive gift cards. On the day winners are announced, each facility will offer refreshments and sweets including hot apple cider, hot chocolate, cookies, and other candy. Be sure to come on down and celebrate the holidays with us!